Karunaas filed a complaint with the Chennai city police commissioner’s office today, alleging that miscreants were posting objectionable content on the social media using his name. 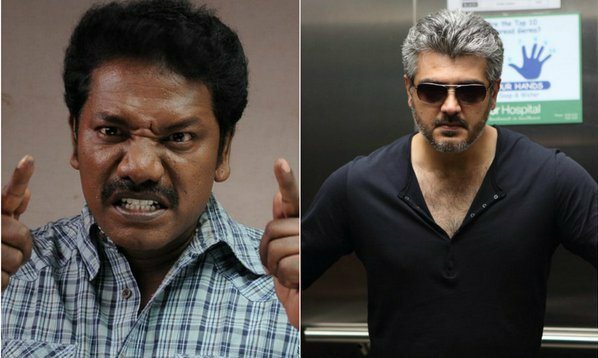 In his complaint, the popular comedian, who is the vice-president of Nadigar Sangam, said that there was an abusive post on Ajith on Twitter in his name, which has shocked him. He requested the police officials to initiate necessary action against miscreants who had played prank. In a statement earlier, he said that he always maintained cordial relationship with all actors and never defamed anyone. It is to be noted that someone posted a wrong information on Ajith’s health a few days ago, misusing the name of the actor’s publicist Suresh Chandra. The PRO said he would file a complaint with the cyber crime wing.